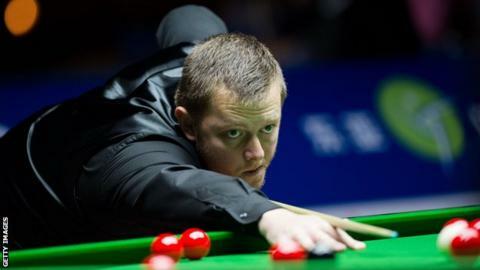 Mark Allen survived a comeback from Michael White to clinch a 5-4 victory in the quarter-finals of the Shanghai Masters on Friday. The Northern Ireland player led 4-1 but Welshman White fought back to take the match into a deciding frame. Allen prevailed to secure a semi-final meeting on Saturday with Mark Selby, who hammered Fergal O'Brien 5-0. Defending champion Ding Junhui will play Stuart Bingham in the other semi-final. Home hope Ding, the world number three, did not look back after taking the first two frames against Graeme Dott, going on to win 5-2. Bingham defeated Alan McManus 5-1. The Scot briefly levelled the match but was largely on the back foot, with Bingham's break of 114 in frame five the highlight of the contest.